Although it lacks the abundance of chaykhanas (tea houses) found in Azerbaijan, cafes and tea-drinking in general have long been a part of Georgian culture. It is unclear whether the drink was popularized in Georgia via Russian or Persian influence, but domestic tea cultivation did not begin until the 19th century. With an increasing amount produced locally (including Gurieli, Kolkha, and the hilariously-named Elitist Georgian Tea), the curious history of Georgian tea culture merits some attention. The first attempt at tea cultivation occurred after Prince Miha of the aristocratic Eristavi clan traveled across China in the 1820s, became quite taken with the various infusions of tea, and postulated that his home region had a climate similarly conducive to its production. 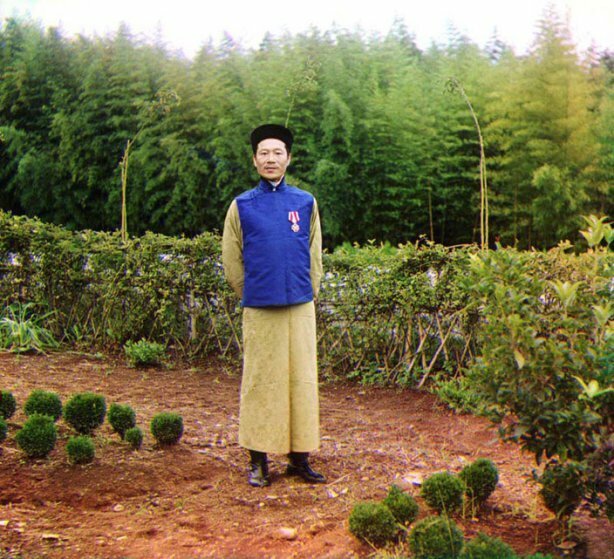 In order to circumvent laws against the export of Chinese tea plants and seeds, Eristavi smuggled seeds out of the country in lengths of bamboo. The earliest plantations were established in the 1830s, but the resulting product was not popularized for several decades. In a roundabout way, the Crimean War had perhaps the biggest hand in developing a Georgian tea industry. In 1854, an English military ship was wrecked off the Black Sea port of Poti, and its crew was taken hostage by the local garrison. One of the hostages, a Scottish officer named Jacob McNamara, married into the Georgian gentry and remained in the country. A true Scotsman, he missed the availability of tea and proposed increased production on the Eristavi estate in Ozurgeti and Chakvi. By 1864, “Caucasian tea” was presented at an international exhibition in St. Petersburg. Later in the 19th century, Konstantin Popov, a wealthy merchant in charge of almost the entire Russian imperial tea trade, became interested in the idea of growing tea along the Black Sea coast. He bought vast plots in Chakvi, not far from Batumi, and dreamt of establishing massive plantations with internationally-competitive exports. 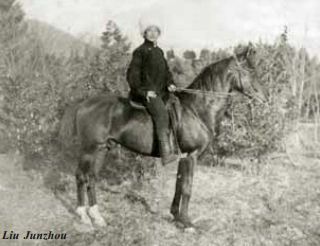 In 1892, he traveled to China in order to study large-scale tea production. Popov hired a team of experienced workers from a factory in Guangdong, including an ambitious director named Lao Junzhou. After a three-year term, all of the specialists returned home except for Lao, who was determined to see the project achieve its full potential. palm, bamboo, persimmon, and tung tree seeds. Georgian tea increased in economic importance, the Tea and Subtropical Cultures Research Institute was founded in Anaseuli, where more new varieties of tea were grown, focusing on aromatic varieties. 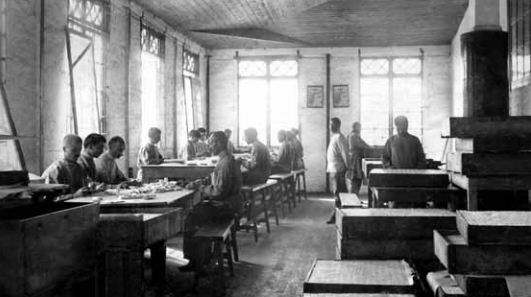 Lao became the manager of a new factory in 1901, and was awarded an order in 1911–becoming the first person of Chinese origin to receive formal recognition from the Tsar. Years later, in 1924, the Soviet government awarded him the Red Banner Order of Labor, recognizing him as the founder of tea culture in Adjara and developer of a valuable economic resource. In 1926, Lao returned to China with his family permanently (it is unclear whether this was for political or personal reasons), but tea continued to be a major industry throughout the Soviet period. Tea growers in Chakvi lament that Georgian tea went into decline under Khrushchev, when the factories were worked mercilessly to meet planned production figures. 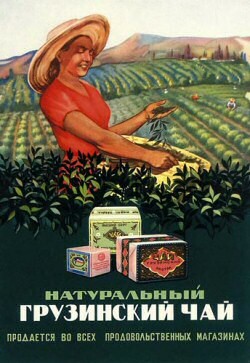 The resulting low-quality tea was often sold to the military, while higher-quality Krasnodar tea (from plantations near Sochi) was sold to the general public. 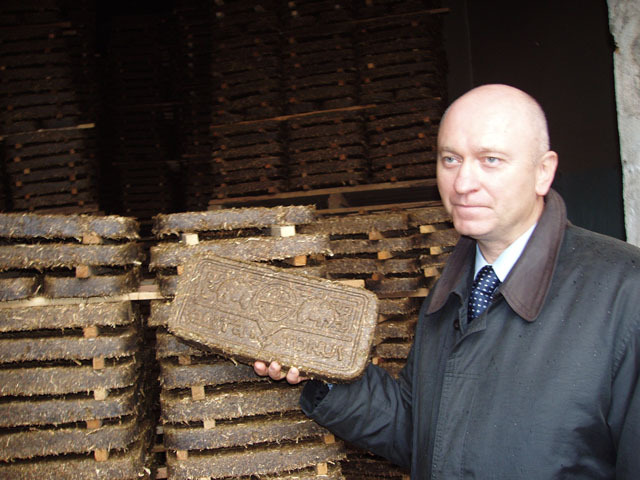 “Brick tea” remains the lowest quality product of all: it consists of tea leaves of any grade, steamed and pressed into two-kilogram bricks sold for about .60 USD. This unusual product is almost entirely exported to Mongolia, where it is known as “Stalin tea” for its trademark sickle-and-hammer stamp, and is customarily brewed with milk and drunk with salt and butter. Today, Georgian tea production is on the rise in terms of both quality and quantity, with emphasis on the pesticide-free, organic growing process and increasingly popular marketing technique. Butrin, Dmitry. “Georgia: Fleece, Wine, and Mimino,” Kommersant, 2003. Liu-Kandareli, Mali. “Tea Culture Sources in Georgia.” Chinese Business in Georgia, 2010. Hi. Great post! Where can I find a copy of “Tea Culture Sources in Georgia”? I searched on the internet, but all of the results referred back to this post. Thanks.